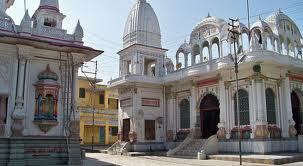 Here is Doodhadhari Barfani Temple in Haridwar Uttarakhand india. 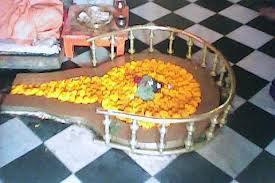 Doodhadhari Barfani Temple is considered as one of the most beautiful attractions. 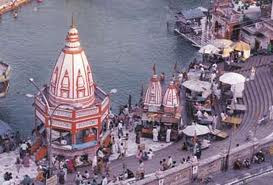 It is one beautiful shrine in Haridwar. The temple of Doodhadhari Barfani temple in Haridwar is a big centre of attraction. Not only for its religious significance but for its beautiful construction work as well. 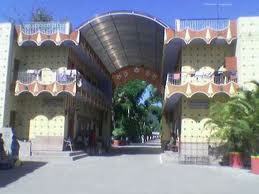 The temple is located in the Dudhadhari Barfani Baba Ashram. The temple complex is built in white marble and is treat for eyes. Inside the temple complex, there are other temples as well dedicated to various Hindu gods and goddesses. Of these, the Ram-Sita Mandir and the Hanuman Mandir are worth visiting. The grandeur Doodhadhari Barfani Temple is located on one of the largest, sprawling grounds in the region, and takes center stage in its white marble form. Presenting charming architecture, religious significance, and decorative gardens, the Doodhadhari Barfani Temple lures in many awed visitors to this highly frequented destination. Tour the grounds of this impressive site, and be sure to take note of the impressive Ram-Sita and Hanuman temples also located here. 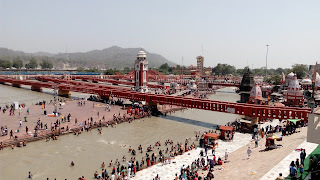 By Road : Haridwar is well connected with National Highway 58 and National Highway 74. The distance of Haridwar from Delhi is 220 Km which takes about three hours and thirty minutes by road. Har Ki Pauri is one of the main attractions in Haridwar and from Har Ki Pauri, Hotel Sugandha Deluxe is located at a distance of just 1.5 Km. By Rail : Haridwar railway station is a major station well connected to all major cities in India. Tourists can take trains from Delhi (Dehradun Shatabdi), Kolkata (Doon Exp), Mumbai (Dehradun Exp) and Chennai (Ddn Mas Exp), Bhopal (Hw Ltt Ac Sf) along with various other cities in the country. By Air : Nearest International Airport is Delhi 200 Km and local is Dehradun 35 Km. 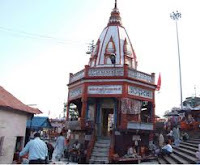 Here is some information about Daksh Mahadev Temple in Haridwar Uttarakhand india. 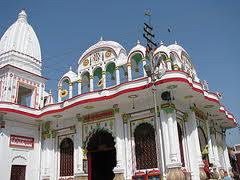 Daksha Mahadev Temple, situated in Kankhal, is located at a distance of 4 km from the township of Haridwar. 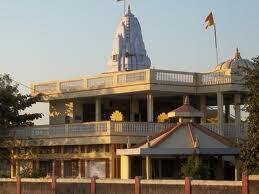 One of the ancient temples of Lord Shiva, this temple is visited by large number of devotees every year. According to the mythologies, this temple is associated to Daksha Yagya. 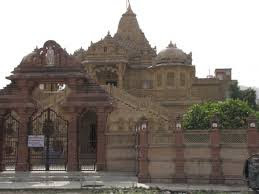 Popularly known as Shri Daksheshwar Temple, this temple was initially constructed in 1810 AD by Queen Dhankaur. However, the temple was again constructed in 1962. Like most of the other shrines, the Daksha Temple has also associations with a legend. Hindus believe that it is here where King Daksha Prajapati (Sati's father) has observed his yagna (a ritual meant to invoke gods and seek their favour). Legend has it that while the king performed the ritual he did not invite Lord Shiva. On learning this Sati (Lord Shiva's consort) felt deeply insulted and as a result she set herself on fire in the yagna kund. An infuriated Shiva killed king Daksha. However, Shiva later brought Sati's father back to life. 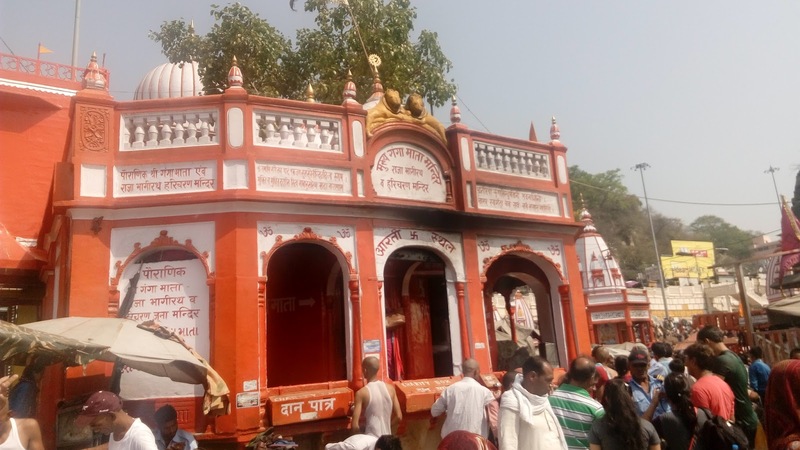 The Daksha Temple stands to commemorate the whole incident. The event being a highly significant one, the Daksha Temple held in high reverence by the Hindus. Pilgrims and devotees from all around come to Kankhal to pay a visit to the temple and seek blessings from the deity. The Birbhadreshwar Temple in Kankhal is another prominent religious site that devotees visit during their tour from Haridwar to Kankhal. By Road : Daksh Mahadev Temple is Near from 4 Km Haridwar Bus stand.There are many public and private vehicles available to reach this temple. 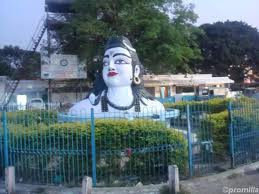 By Train : Daksh Mahadev Temple is Near from 5 Km to Haridwar Railway Station. By Air : The Nearest International Air port is Delhi and Local is Dehradun. Here is Ganga Temple in Har Ki Poudi Haridwar Uttarakhand India. 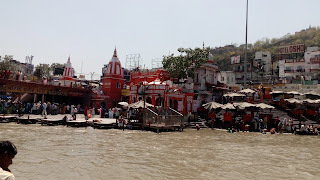 One of the main temples of Haridwar in Har ki Pauri Historical (Prachin) Shri Ganga mandir of River Ganges and is famous for natural Lord Vishnu feet marks. 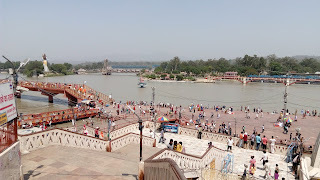 Har Ki Pauri, one of the most famous places in Haridwar, is believed to be the exit point of River Ganges from the mountains and entry into the plains. In addition, this sightseeing is also among one of the five main holy sites of Haridwar. According to another legend, it is believed that at this place, two great Hindu Gods; Lord Shiva and Lord Vishnu appeared during the Vedic era. Since then the place is considered to be sacred. 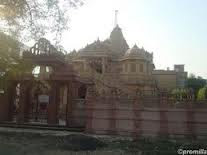 In addition, it is also said that Lord Brahma, who is the Hindu God of Creation, performed a yagna at this place. Moreover, according to the chronicles of history, an imprint of holy foot of Lord Vishnu is present on one of the stones of this ghat, which is indicative of the name. Har Ki Pauri, popularly known as Brahm Kund, was constructed by King Vikramaditya in memory of his brother, Brithari. It is said that Brithari used to mediate on the banks of River Ganges. 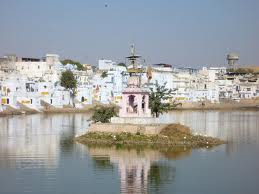 According to a popular belief, it is said that a dip in the holy water of this ghat relieves a person of all his sins. In addition, the place is also a venue for performing several religious rituals such as 'upanayan', 'mundan', 'asthi visarjan' and 'shraddha', which are carried throughout the year. After every twelve years, the auspicious fair of Hindus, the Kumbh mela, is organised at this place. 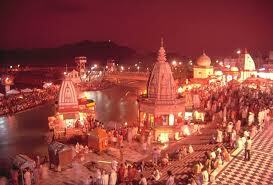 Famous for Ganga Aarti, large number of tourists throng the place in evening so as to attend aarti. 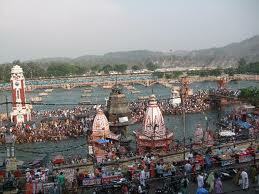 Har Ki Pauri is believed to be the same place where the divine nectar fell from celestial Kumbh. 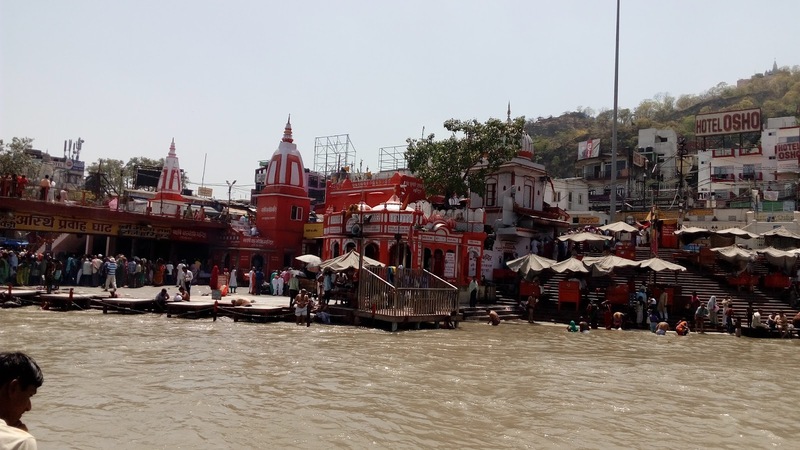 Some of the other attractions located on this ghat are the two famous temples, Ganga Mandir and Haricharan Mandir. 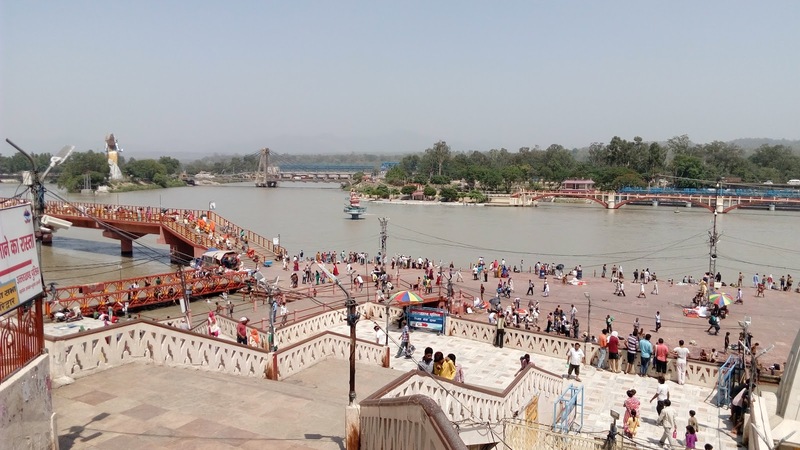 Haridwar is one of the most sanctified places in the Uttarakhand State. It is the very site where every evening the most popular known Maha Aarti begins. The most devotional Ghat in Uttarakhand is Harki Pauri. 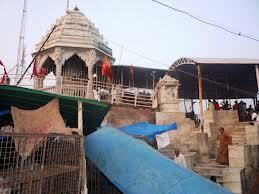 It is an extreme bathing ghat for the visiting pilgrims and devotees. At the time of Maha Aarti millions of followers gather near both side of the ghat to be a part of it. They also light up clay lamps and make a wish there. The Pundits start the Aarti and the audience sings Bhajan. The spectacular evening catches the visitors' eye. 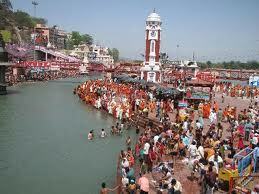 Haridwar has acquired great importance as a religious pilgrimage destination. 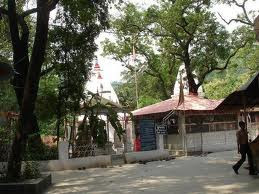 Harki Pauri is known all over for its sanctity. 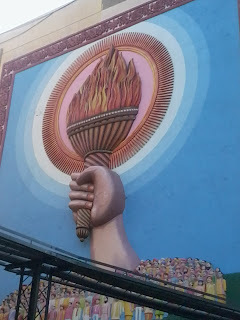 The glorious Kumbh Mela is organized here once after every 12 years. One to five times Aarti is performed every day at the Harki Pauri Ghat. 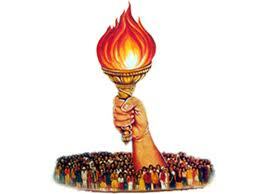 The Ganga Aarti constitute of circulating an Aarti Plate or a Lamp around a divinity. The Aarti symbolize five thing particularly these are 1) ether (akash) 2) wind (vayu) 3) fire (agni) 4) water (jal) and 5) earth (pruthvi). In Sanskrit the meaning of "Aa" is "towards or to" and the meaning of "rati" is right or virtue". The Aarti is done in a clock wise manner around the Lord. At the time of performing Aarti it reminds the performer to keep the deity in our center. The Aarti is not kept limited to the Lords but the followers also offer Aarti to those who help them towards success. By Air :The airport of Dehradun is the nearest from Haridwar. It is known by the name of Jolly Grant Airport and is located approximately 35 km away from the holy city. Though there are not a large number of airlines that operate from New Delhi to Dehradun, you will easily get a Simplifly Deccan flight, which operates on Tuesdays, Thursdays and Saturdays. By Rail :Haridwar has a railway station of its own, connected with all the major cities of India. Many trains coming from Delhi, Mumbai, Varanasi, Kolkata, etc halt here and bring in the large rush of visitors who come to take a bath in the waters of the holy Ganges. There are a large number of trains available for reaching Haridwar from New Delhi, with the ones to Dehradun also making a stoppage here. 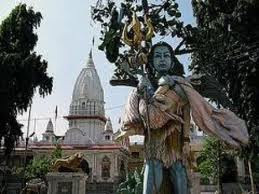 By Road :Haridwar, with it good road network, is easily accessible from the key cities in India. The city is around 215 km from New Delhi and since the National Highway passes through it, reaching there by road is not at all a problem. Buses and taxis are easily available to and from the major cities like Delhi, Dehradun, Agra, Lucknow, Jaipur, etc. 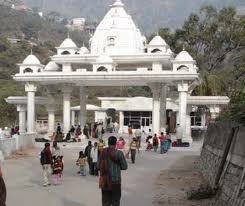 Here is Some information about Gayatri Mata Temple in Shanti kunj Haridwar Uttarakhand india. 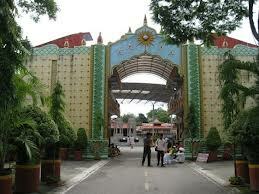 Shanti Kunj is located 6 kms from Haridwar on the Rishikesh Road. 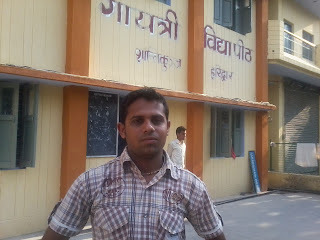 It was founded and developed by Gurudev, Pandit Shriram Sharma Acharya in 1971 in Haridwar. 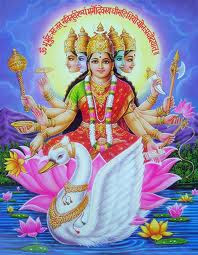 It is the head-quarter of All World Gayatri Pariwar, which has more than 70 million followers all over the world. 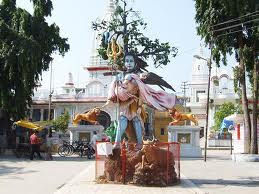 sculptures resembling the various characters of Hindu mythology, heritage of the religious glory of Haridwar. 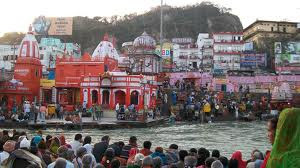 Shantikunj Haridwar was founded by the Saint-Scholar-Philosopher par excellence, Pandit Shriram Sharma Acharya, who in his youth was also a freedom fighter. Shantikunj has emerged over the years as a unique center and fountain-head of a global movement of Yug Nirman Yojana (Movement for the Reconstruction of the Era) for moral as well as spiritual regeneration in the light of very old Indian heritage. It is the head-quarter of Yug Nirman Yojna of the All World Gayatri Pariwar (or Akhil Bhartiya Gayatri Pariwar), which has a following of more than twenty million devoted disciples and seventy million persons all over the world. 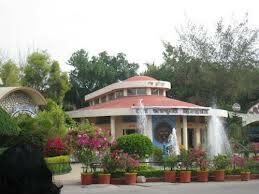 Shantikunj Ashram Haridwar is the fountain head of cultural, ethical, spiritual awakening & national integration. Through the Seer-Vision of the Yugrishi the founder organiser and patron who was born on 20th September 1911 in the village Anwalkhera, Agra, (U.P.) India. Shantikunj Ashram India has grown into unique fountain head of moral, ethical and spiritual awakening of the masses in India carrying the seer-vision of Acharyashri with the messege of love, peace, understanding and unity-in-diversity to all corners of the globe. The gist of Gurudev's messege is the lightening up of human consciousness to a higher and nobler realm of light, love and life instincts with divine harmony and joy. 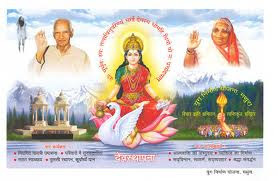 Reverred Mata Bhagvati Devi Sharma (worshipped as the emanation of mother Durga by the Gayatri Pariwar) has been the foremost collaboration and discipline of Gurudev. She contributed the most in giving concrete shape to the ideals and dreams of her soul-mate. The smooth working of this vast organization is based on voluntary contribution of fifty paisa, one handful of grain and one hour daily of mission work by millions of its devotees. 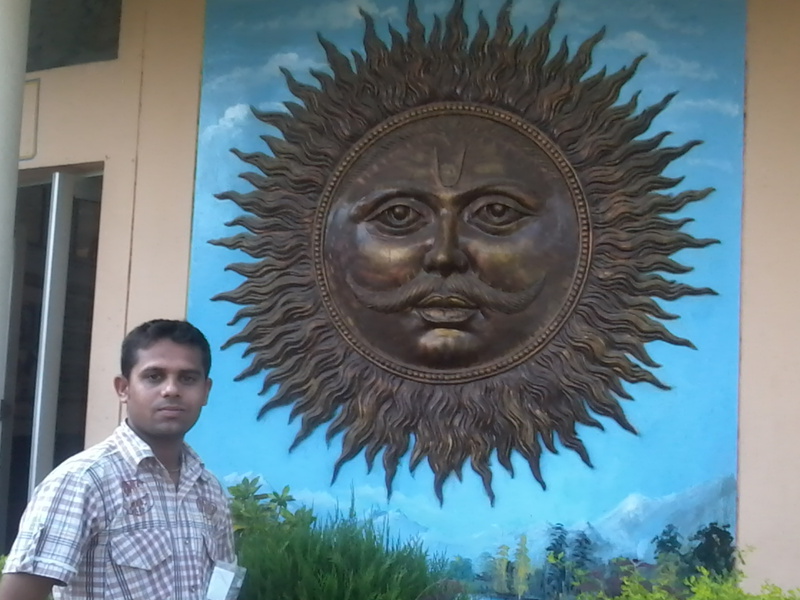 Shantikunj Ashram Haridwar is devoted to cultural, ethical, moral and spiritual awakening and national integration. Development of divinity in mankind is the foremost goal and avowed objective. Pledged for national peace, prosperity, amity, love, goodwill and fraternity irrespective of region, religion, faith, caste, creed, sect etc., Shanti Kunj is a unique abode true to its name. Visitors who stay here are glued to the Ashram, when they visit and view its peace & fraternal treatment. The courteous ovation and pleasing treatment add glory to the solemn attraction and the visitor wishes to come here again for accomodation. Expansion of national unity, amity and brotherhood and extinction of ignorance, jealousy, hatred and strife from globe are being attempted by popularizing Gayatri Mantra, Yagya and Sanskar, the adoption of which invokes celestial thoughts and inspires for divine deeds. The divinity may be seen firmly fixed in every activity of this holy shrine. Another noteworthy contribution of unparalleled and unsurpassed significance is the establishment of a university of its own kind of the world with the avowed objective of imparting global education on scientific spirituality and life style. These form the base of human transformation and result in the development of Divine manners, charming habits, noble character, captivating sweet behaviour and elegant qualities which may enable the human race to shun its ego, selfishness and material greed and develop rational thought and compassion for all animate & inanimate world. With a view to revive past glorious civilization, inducing noble sanskars, patriotism, national unity, amity and brotherhood irrespective of region, religion, caste, creed, sect etc., Dev Sanskriti Vishwavidyalaya has been developed on the pattern of Takshshila and Nalanda, the two glorious universities of ancient times with four faculties in the initial stage viz. Sadhna, Shiksha, Swasthya and Swavlamban. If Brahmvarchas Shodh Sansthan is a fragrant flower grown by the 'Mahatapa' of Pujya gurudev the Dev Sanskriti Vishwavidyalaya is the fruit grown out of that flower. The students and faculty of this university are totally committed to work towards the achievement of the objective of BSS. Shantikunj has a vast network of about 4000 Shaktipeeths-Pragya Peeths, 25000 Pragya Sansthans & 30000 Swadhyaya Mandals etc., which regularly organise satsang, discourses, inspiring sings, discussions on various problems in their areas to advance the noble cause of the mission. 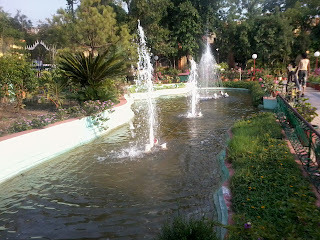 Infact, these serve as local centres of which Shantikunj is the Headquarter. 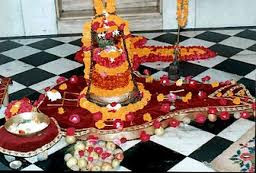 Shantikunj has performed gigantic tasks unknown in the history of thousands of years of this country. After the magnificent 1008 Kundli Maha Yagya in 1958, it has performed 24 similar Gayatri Mahayagyas in each of which 2 to 3 lakh persons participated. Besides these 28 Ashvamedha Yagyas were also organised for Global awakening of people in each of which 10 to 15 lakh people took part. Yug Sandhi Mahapurushcharan of 12 years penance was celebrated in two installments. The first Mahapurnahuti was organized in 1995 at the birh place of reverred Gurudev at Anwalkheda, Agra in which 30 to 40 lakh people participated. It was the grandest celebration of the mission, The second Maha Purnahuti was organised at Haridwar in the year 2000 in 5 steps in which almost ten million devotees participated. Besides the performance of gigantic Yagyas more than 250 Sanskar mahotsavas of magnanimus form were also organised in different parts of the country for the revival of the ancient practice of sanskar in the most elegant manner which turned even the mental plane of hard criminals. They refined themselves and started living a civil life after wards. In this process the organization has proved to be a unique spiritual sanitorium for people of all walks of life of the country and of different parts of world. ShantiKunj Ashram was established in the year 1971 by Pandit Shri Ram Sharma Acharya. Built over a small piece of land, the ashram gained followers and grew in leaps and bounds. Over the years, it spread to a larger area which came to be called as the Gayatri Nagar. 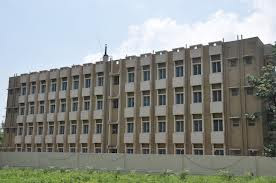 Later on, further enhancements were made in the ashram in the form of a satellite campus which was a research Institute named, Brahmavarchas Shodh Sansthan, in the year 1979. The institute is located at a distance of around 1.5 kilometres from the main Ashram. 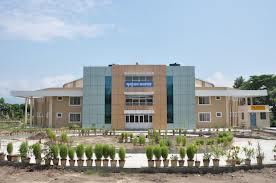 In the year 1998, another campus was added to the main buildings, this was called as Gayatrikunj. Today, it is the campus of the Dev Sanskriti Vishwavidyalaya, a recognised University under the flagship of Shantikunj. By Rail : The nearest Railway station is at Haridwar. By Air : The nearest airport from the Ashram is the Jolly Grant Airport located at a distance of 24 kilometres. 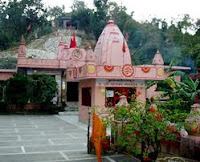 Here is Some information about bilkeshwar Mahadev Temple in Haridwar Uttarakhand india. 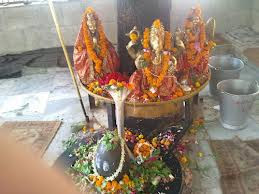 Bilkeshwar Mahadev Temple which is one of the best places to visit in Haridwar, do sightseeing and eat.Bilkeshwar Temple is Located in Haridwar Uttrakhand and Dedicated to Lord Shiva. 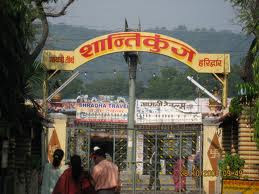 It is one of the weekend gateway, a tourist spot and a tourist attraction in Haridwar. This place is visited by many people every year from different parts of the world. This place can be enjoyed by all age groups from kids to elders. 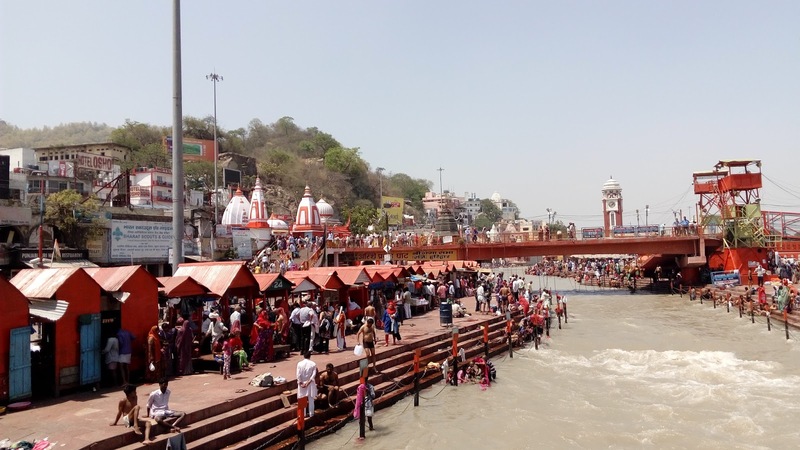 By Road : Haridwar is connected to all major cities in the region as well as other parts of the country. Hourly buses are available from ISBT in Delhi. You could also hire a taxi to the holy town for Rs 1,500-Rs 2,000. Likewise, buses and taxis are available from Agra, Shimla and Varanasi. Bus terminus: The bus stand and rail terminus are located right opposite each other along the main Haridwar Road, south west of the city centre. By Rail: The Dehra Dun Shatabdi Express is the most convenient way to get to Haridwar from Delhi. The Dehra Dun Mumbai Express and Dehra Dun Varanasi Express also serve Haridwar. Calcutta and Allahabad are connected to Haridwar by the Doon Express and Dehra Dun-Allahabad Link Express. By Air : Nearest International Airport is Delhi and Local Airport is Dehradun. 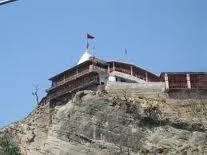 Here is Some Information about Vaishno Devi Temple in Haridwar Uttarakhand. The Vaishno Devi Temple lies on the way to the eight-storey Bharat Mata temple a few kilometres outside Haridwar.The Temple is dedicated to Mata Vaishno Devi, and is modelled after the famous temple of the same name in Jammu & Kashmir. Devotees visited this temple throughout the year. 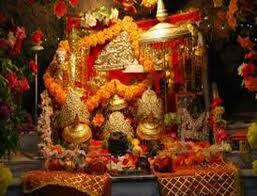 This temple is dedicated to Goddess Vaishno Devi. The leading path of this temple is similar to the temple in Jammu. The path is full of tunnels and caves. Some people believed that the Goddess blesses only those who truly have the intention to implore her blessings from the bottom of their hearts. It is very difficult, like any other old shrines, to trace back the history of Vaishno Devi; however geological studies indicate that the holy shrine of Vaishno Devi is almost a million years old. Though the Vedic literature doesn’t refer to any goddess, however one can find the mention of Trikuta hills in Rigveda - the oldest of the four Vedas. There are different versions of the origin of Vaishno Devi available, but according to the most popular version, the shrine of Vaishno Devi was discovered about 700 years back by Pandit Shridhar. According to the popular belief, Mata once helped in organizing a Bhandaara at Shridhar’s place. But, she had to leave the place to escape Bhairon Nath. As Mata left the place, Shridhar started giving up food in grief and started praying for Mata Vaishno Devi. Mata came in his dreams and asked him to search for her at the cave in the Trikuta Mountain. 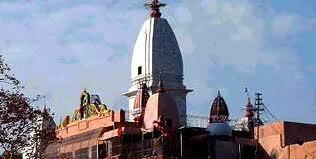 One can easily reach Mansa Devi Temple by taking local Buses, rickshaws, Tongas or by hiring taxis from Haridwar.